I’ll use the rational, logical approach for this one. In my critical thinking classes, students get a good dose of heuristics and biases and how they affect the quality of our decisions. Daniel Kahneman and Amos Tversky popularized the notion that we should look at how people actually make decisions as opposed to how they should make decisions if they were perfectly rational. Most of our decision-making heuristics (or rules of thumb) work most of the time but when they go wrong, they do so in predictable and consistent ways. For instance, we’re not naturally good at judging risk. We tend to overestimate the risk of vividly scary events and underestimate the risk of humdrum, everyday problems. If we’re aware of these biases, we can account for them in our thinking and, perhaps, correct them. Finding that our economic decisions are often irrational rather than rational has created a whole new field, generally known as behavioral economics. The field ties together concepts as diverse as the availability bias, the endowment effect, the confirmation bias, overconfidence, and hedonic adaptation to explain how people actually make decisions. Though it’s called economics, the basis is psychology. So does this mean that traditional, rational, statistical, academic decision-making is dead? Well, not so fast. 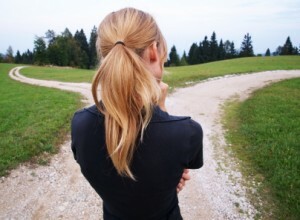 According Justin Fox’s article in a recent issue of Harvard Business Review, there are at least three philosophies of decision-making and each has its place. Fox acknowledges that, “The Kahneman-Tversky heuristics-and-biases approach has the upper hand right now, both in academia and in the public mind.” But that doesn’t mean that it’s the only game in town. The traditional, rational, tree-structured logic of formal decision analysis hasn’t gone away. Created by Ronald Howard, Howard Raiffa, and Ward Edwards, Fox argues that the classic approach is best suited to making “Big decisions with long investment horizons and reliable data [as in] oil, gas, and pharma.” Fox notes that Chevron is a major practitioner of the art and that Nate Silver, famous for accurately predicting the elections of 2012, was using a Bayesian variant of the basic approach. And what about non-rational heuristics that actually do work well? Let’s say, for instance, that you want to rationally allocate your retirement savings across N different investment options. Investing evenly in each of the N funds is typically just as good as any other approach. Know as the 1/N approach, it’s a simple heuristic that leads to good results. Similarly, in choosing between two options, selecting the one you’re more familiar with usually creates results that are no worse than any other approach – and does so more quickly and at much lower cost. Fox calls this the “effective heuristics” approach or, more simply, the gut-feel approach. Fox suggests that this is most effective, “In predictable situations with opportunities for learning, [such as] firefighting, flying, and sports.” When you have plenty of practice in a predictable situation, your intuition can serve you well. In fact, I’d suggest that the famous (or infamous) interception at the goal line in this year’s Super Bowl resulted from exactly this kind of thinking. So, we have three philosophies of decision-making and each has its place in the sun. I like the heuristics-and-biases approach because I like to understand how people actually behave. Having read Fox, though, I’ll be sure to add more on the other two philosophies in upcoming classes.